An Australian-first initiative to tackle food waste has seen the use of vending machines come into play, revolutionising the use of technology around charitable campaigns. An Australian-first initiative has seen the use of vending machines come into play to tackle food waste, revolutionising the use of technology around charitable campaigns. 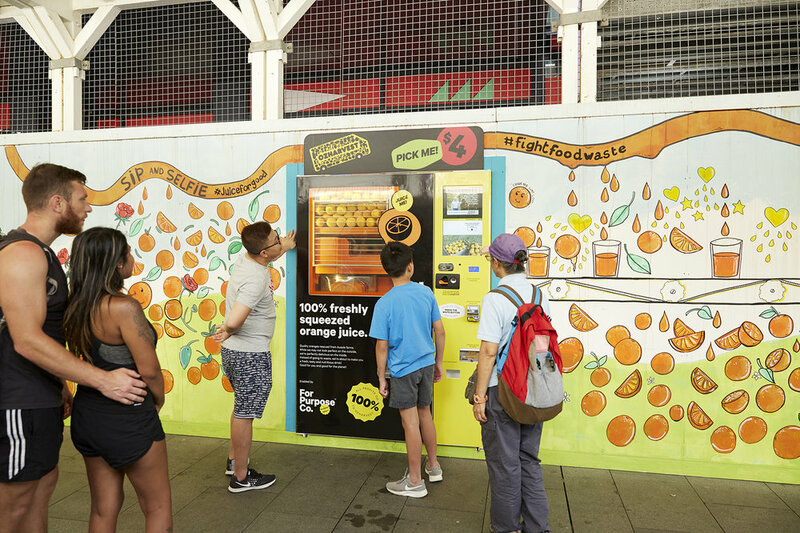 Rejected and rescued fruit will find a home in the innovative vending machines around Australia, providing a sustainable option for tackling food waste. By joining ranks with OzHarvest, profit-for-purpose ForPurposeCo is also revolutionising partnerships. The Juice for Good initiative has seen close to eight tonnes of imperfect oranges being purchased by consumers and members of the public from its first two machines. They have been built into construction walls to “breathe life into these areas”. 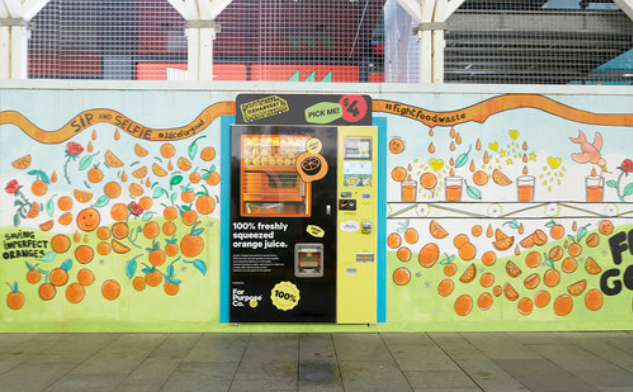 As the latest innovation arm of OzHarvest, ForPurposeCo has launched the vending machines as just one of many sustainable and profit-generating initiatives to increase funding for the food rescue charity. This fulfils the profit-for-purpose’s mission to “solve a world problem and generate revenue” solely for OzHarvest. Ronni Kahn, Chief Visionary of ForPurposeCo and CEO and Founder of OzHarvest, said she believes there are multiple solutions that are required to tackle food waste and food inequality, requiring the aid of many types of businesses and agencies. “While OzHarvest continues to lead the way in saving food waste and providing quality rescued food to vulnerable people, we started ForPurposeCo to look at other global solutions out there that can drive positive social change,” Kahn said. In September 2018, ForPurposeCo became the official Australian and New Zealand Partners of Winnow, bringing innovative food waste reduction technology to kitchens. Winnow helps chefs measure, monitor and reduce food waste by giving them the right information necessary to drive change in the hospitality industry. The partnership enables the Australian and New Zealand food industry to lead the way in implementing innovative solutions to fight food waste. Since Winnow was founded in 2013, chefs have saved up to 15 million meals a year from food waste.